Consumers hoping to get their hands on Google Glass later this year can likely scratch the device off their holiday wish list. The commercial version of the augmented reality visor is still about a year-ish away according to Google chairman Eric Schmidt. During a recent interview with the BBC, Schmidt pointed out that developers are now receiving their kits and that it would be fair to say that there will be thousands of these units in use over the coming months. That of course is in addition to the contest winners that will also be receiving headgear over the next few months. 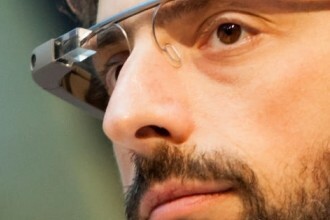 Based on user feedback, Google will make some changes which will put the wearable computer about a year away. It’s worth highlighting the fact that Schmidt didn’t give a solid release date but his words seem to go against the timeframe that Glass team members told The Verge just two months ago. At the time, the publication was told that Glass should be ready for a public release by the end of this year. What’s more, the executive didn’t touch on the price of Glass. The current batch of Explorer edition glasses being developed by Foxconn in California command $1,500 – a price that’s sure to come down if Google hopes to make them a consumer hit. One thing Schmidt did mention, however, was user privacy. He said it's obviously not appropriate to wear the glasses in situations where recording is not correct. Society will have to come up with new social etiquette to accommodate the device much like people had to do with smartphones, he noted.